No matter how durable or efficient your roof is, there will come a time when repairs would be necessary. Your roof serves as your home’s main protection against the elements. Since it’s exposed to everyday wear and tear, it could deteriorate over time, especially without proper maintenance. 1. Look for the right contractor – While roof repair might seem like an easy task, it is both difficult and dangerous. You can easily fall off the ladder while fixing leaks and removing debris. Doing this on your own can only lead to even more serious issues, especially if you’re inexperienced. To fix roofing problems without compromising your safety, consult Peak Roofing Contractors. Backed by a decade of professional experience, we can patch up issues successfully to keep your roof at its best. 2. Set a schedule for the repairs – Professional roofing companies in Northern Virginia, such as Peak Roofing Contractors, know the ideal time for repairs. We can always discuss with you to ensure the schedule will be most convenient for you and your family. 3. Prepare your home – Like other major home improvement projects, repairs can cause a lot of noise and mess in your home. It’s always best to take precautionary measures to protect your furniture and other belongings. Cover your chairs and cabinets, and remove unstable objects on your wall. You can also bring your houseplants outside to avoid causing damage on them. 4. Set up a temporary home – Your house might not be a convenient place to stay in during the course of the project. Depending on the extent of damage, repairs for your roofing in Manassas might take days or weeks. Make arrangements for a temporary home to avoid any hassle on your daily activities. 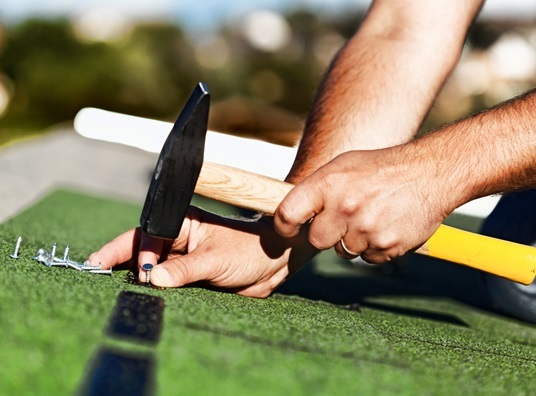 You can enjoy a smooth roof repair experience by planning your project carefully. For the best roofing services, turn to Peak Roofing Contractors. Simply give us a call at (703) 745-5153 or fill out our contact form today. We’ll be ready to assist you.